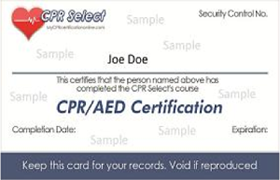 The idea behind CPR Select for First Aid and CPR training is simple: we've combined the proven effectiveness of distance-learning while taking advantage of today's technology - read the material, pass the test and print You can have your CPR and First Aid certification in less time than it would take you to drive to a class. And once registered, you are not limited to just one computer - you can log in at any time from any computer with an internet connection: home, work, library, or internet cafe. It's up to you! 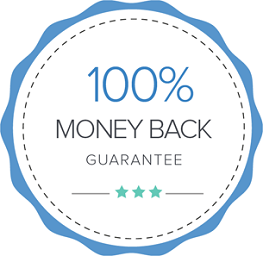 And, once you have registered for any of our courses, there are no additional charges... for anything! Just click the "Sign Up Now" button on our homepage for the course you wish to purchase and follow the prompts to checkout. Login to the course to study for the certification exam. You can have as much time as you need to prepare and take the certification exam. Our training material is comprehensive and covers everything you will need to know for the certification exam. You may review the study materials which will help you prepare for your exam. Take the certification exam. You have an unlimited amount of time to take the certification exam, however, it typically takes anywhere from 20-45 minutes to complete the 25-question multiple choice test. A score of 20/25 or 80% is required to pass the exam. Retake the exam (if necessary). If you do not pass on your first attempt, you will be shown the questions you missed. You may take note of the questions that you missed and go back to review those sections on the study guide before your next attempt. Receive your Certification card online and via first Class mail. Once you pass you will immediately see your digital certification card in your dashboard. You will also be shipped a hard copy card in the mail for free on the next business day. You may print your digital certification card and use it as proof of your certification or recertification until your hard copy card arrives in the mail.